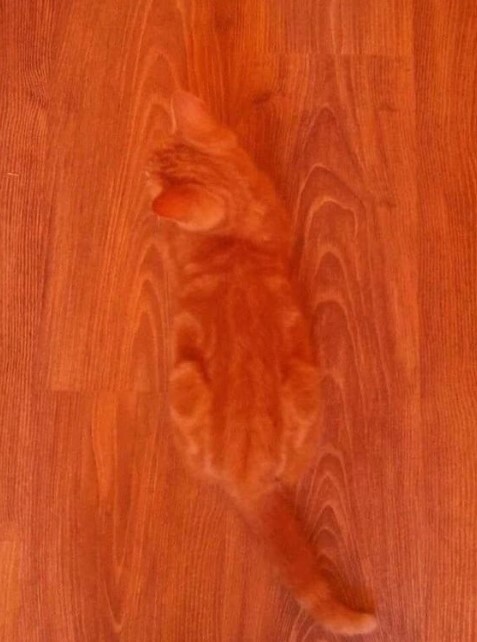 Some of the most interesting images you could find on internet are those that could really play some tricks on your mind! Better still, there is no need for editing or any kind of altering in order for you to feel puzzled after seeing a photo. We are talking about genuine images that were taken at the right time and by the right person. We hope that you like such photos, because if you do, you will definitely enjoy the list below! People who value books often use special covers which protect it from wear and tear. This is admirable and we appreciate it even more when people created the covers by themselves instead of relying on the original ones or those available for purchase at the book store. 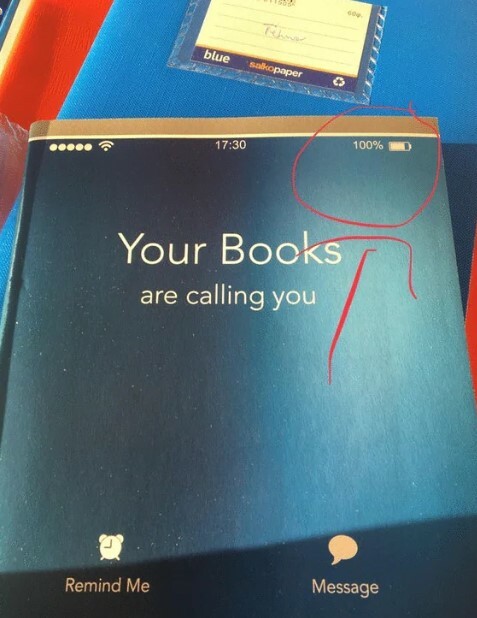 As you can see, someone decided to make a very special book cover that surely spreads a message. It really looks like a cell phone display, but the initial design has a flow. It seems that the battery indicator is not correct. It is not that hard to make a fashion statement. In fact, most people do it every day without even realizing it! The hard part is to actually do it the right way and follow a particular fashion trends. There are a lot of rules which are obligatory in order for you to become a fashion icon! Of course, one of the main things you need to do is to avoid wearing shoes like these! 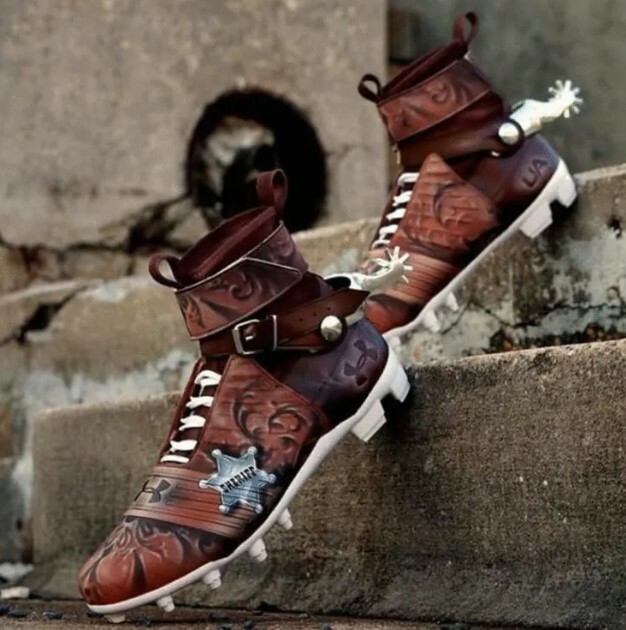 Cleats which look exactly like cowboy boots will not get you the fashion icon title for sure! We really love the kind of situations in which obvious things are underlined and specifically mentioned several times. This, of course, is completely unnecessary in the majority of cases! As you can see, the manufacturer of this product decided to include an interesting feature in the production process. 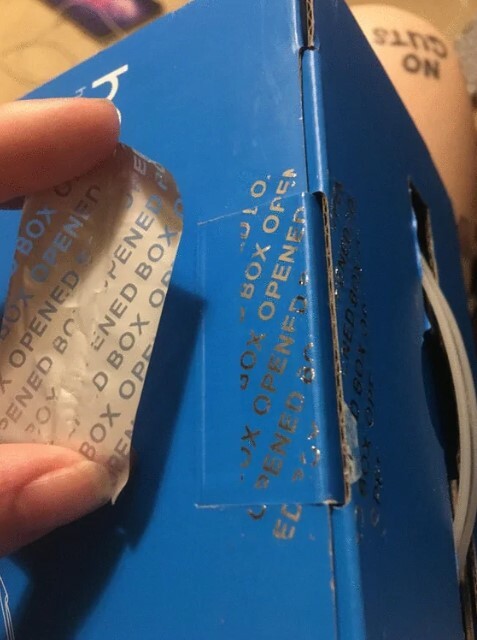 The label you see immediately tells you that the box was opened exactly after you opened it! There is no logic in that whatsoever! It is not a warranty seal, so the ‘box opened’ message is useless here. The main thing that makes life easier for the visually impaired is the kindness of those who have eyesight! Helping those people is the right thing to do whenever you have the chance to! Of course, there are a lot of other things that help their daily routines. 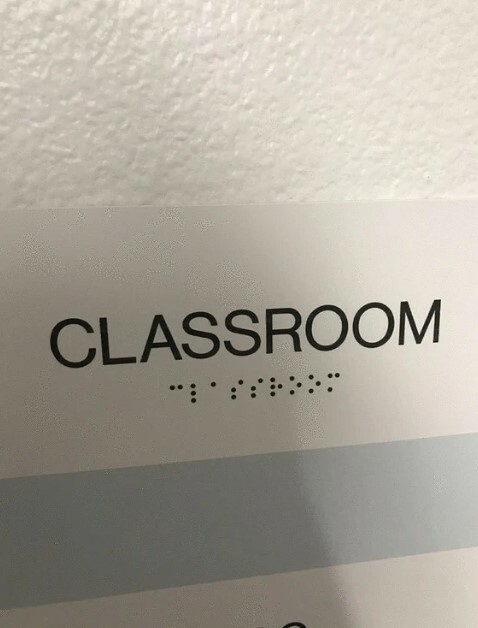 One of the most important is the braille alphabet! Of course, it needs to be textured in order for someone to be able to read it by feeling it with the tips of their fingers. 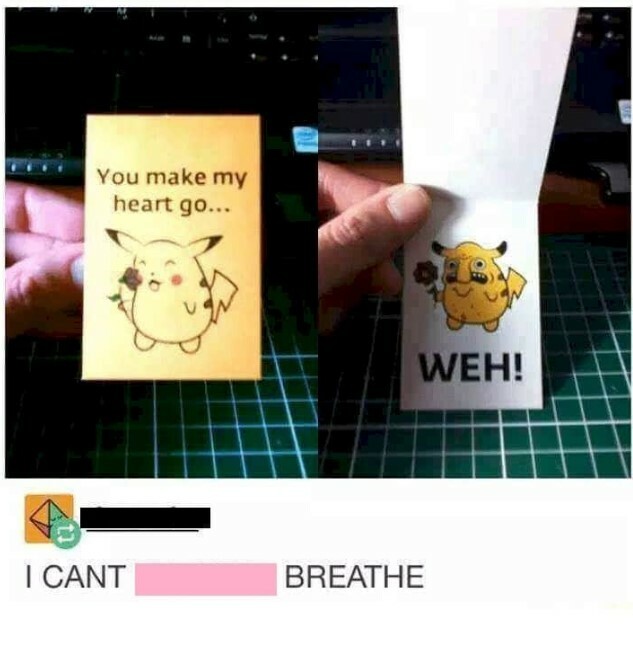 Printing it out would simply not be enough. It is true that you learn something new every day. We learned about the existence of this goat and we are delighted to share it with you! As you can see in this post, the goat breed is Gulabi, and the baby goats are super cute! We had no idea that goats can have such long ears or look like that at all! Of course, it was too good to be true and someone just had to ruin everything by posting a photo of an adult Gulabi goat. There are a lot of ways you could greet someone or send a message! One of the best ways to do that is to send a greeting card, of course. The huge variety of cards you can buy may actually make it hard to choose the best one. This is why you need to specify the style of the message first. You need to figure out if you want it to be a nice and romantic greeting or simply one that will make the other person laugh. 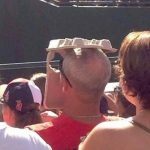 We guess that some sarcasm and a clever idea are more than enough and the photo proves it. People have all kinds of hobbies. Some love shopping and solving crosswords, while others love football or fishing. One of the typical male hobbies is upgrading and detailing vehicles. 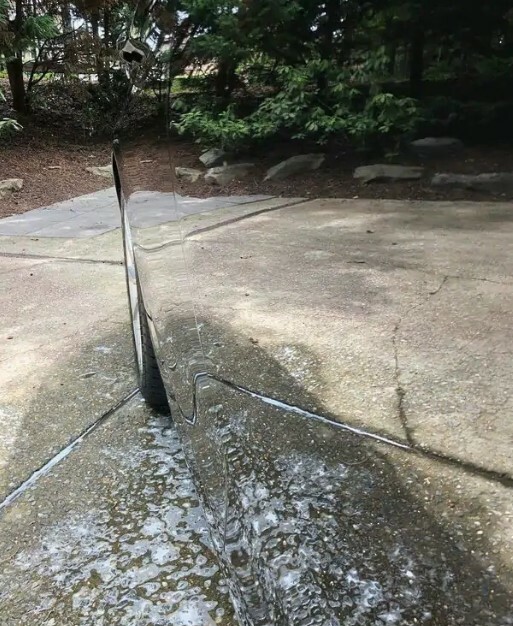 Many men are willing to spend countless hours in order to be able to make their cars immaculate from every angle. As you can see, someone really did the impossible and created the best finish on a vehicle we have ever seen. The reflection is immaculate and the photo is really something special. If you decide to make a compliment, you have the chance to make it really special! 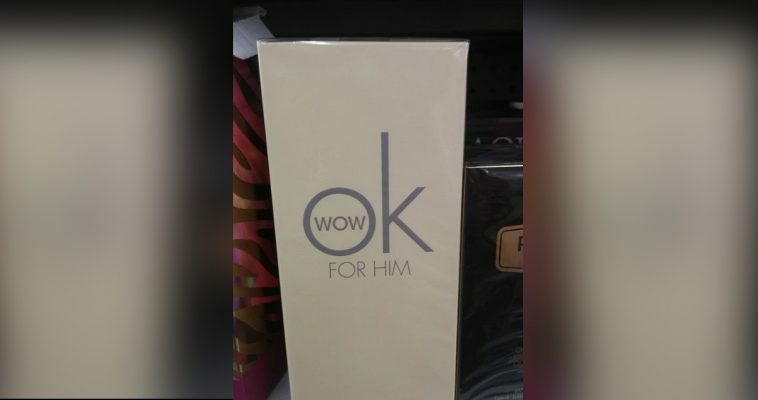 There are a lot of ways to do it, but if you are about to reveal to one special lady how you feel about there, then you need to be extra creative! We guess that every lady would be impressed by a witty gentleman who wants to make her feel good! This example shows such an attempt. 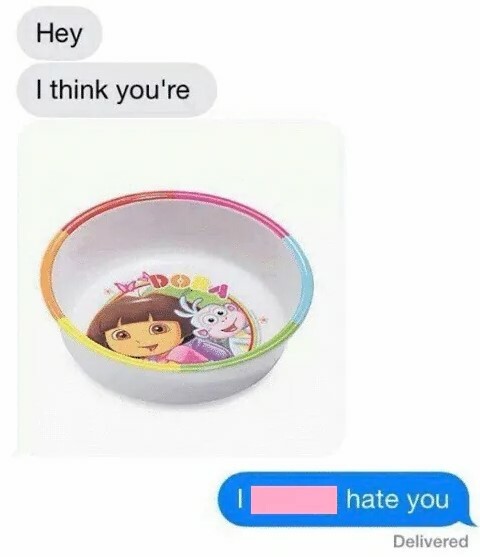 The ‘A Dora bowl’ pun is really clever, but it was obviously not received that good! Most of us know what it’s like to live with someone. You literally share your life and everything you have with your significant other! Of course, this is perfectly normal, but there are some things that should be avoided. Every individual needs personal space, and private items are often included in that personal space! 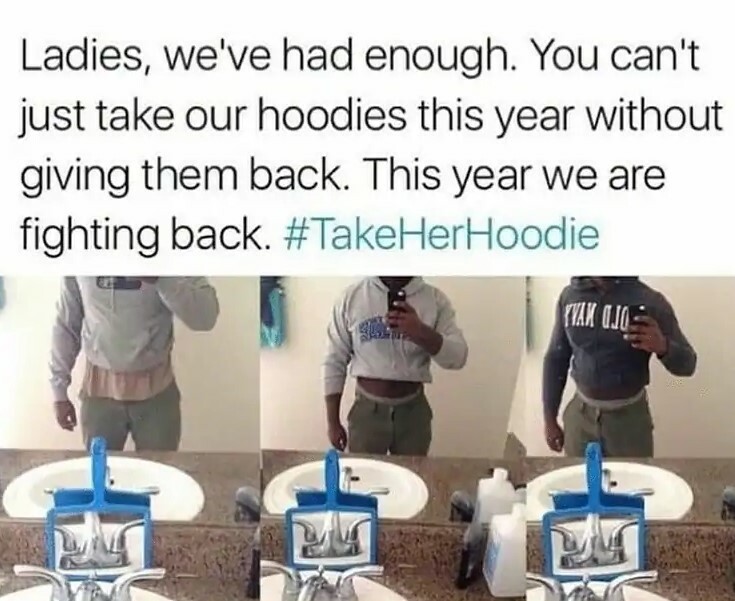 As you can see, someone was obviously fed up with his girlfriend constantly wearing his hoodies. This is why this person decided to fight back and took hers. There is even a hashtag in use, which means that this might become an actual trend! 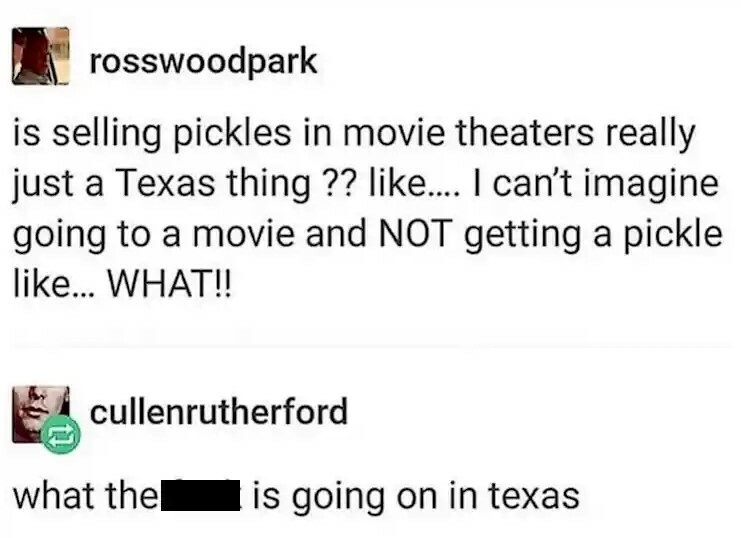 Well, we need to admit that this was the first time we ever heard of a cinema that offers pickles! It is amazing how certain places around the world can be so different from each other. The option to buy pickles just like we all buy popcorn and soda sounds insane. However, judging by this post, this is a common practice in Texas! We have no idea who came up with this, but we think that it is definitely not the best thing to snack on while watching a romantic comedy, for example. We have shown you countless examples of weird commuters before. They can vary from strange to creepy and even ridiculously funny. However, we have no words to describe the event you see in this photo! 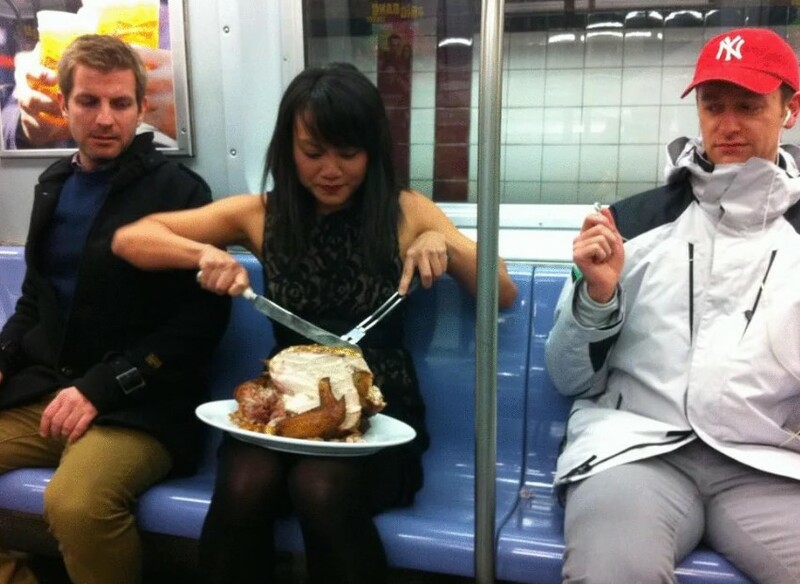 This person decided to have a fancy dinner right in the middle of a subway car! It appears that she has a huge plate with a whole turkey on her lap! The people sitting next to her appear to be amazed by her idea! They are staring at her in disbelief, and we can understand why! 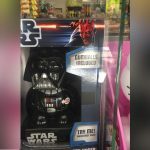 Of course, the most obvious question of all is what on Earth is this thing? Is it a homemade campervan that was supposed to look like a cave? 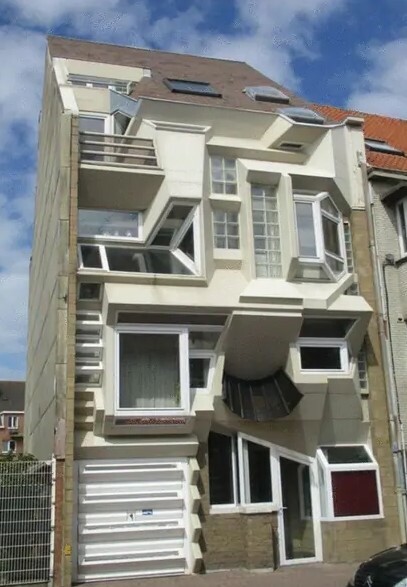 Why did they even bother creating something like that? We would never know. 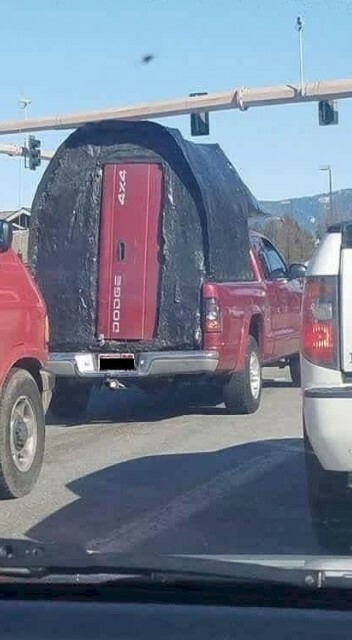 The only sure thing about this truck is that they used the tailgate to make a door. We have always said that no matter how much effort you put in a certain task, you would still end up with a poor result if nobody checks it for flaws. This goes especially for marketing campaigns. As you can see, this print ad looks cheerful, but there is one little detail that is completely wrong with it. 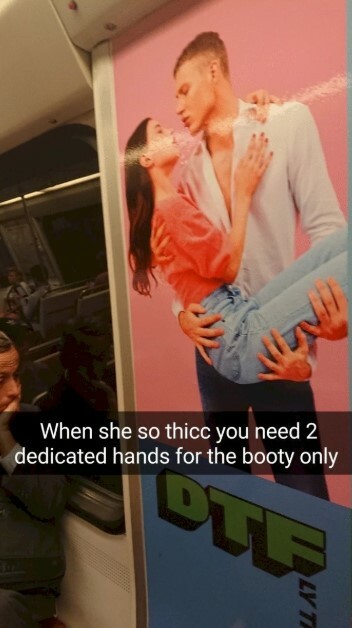 The graphic designer forgot to remove this young man’s third hand.